Places in Ischia known for their singing, dancing and other types of evening entertainment. 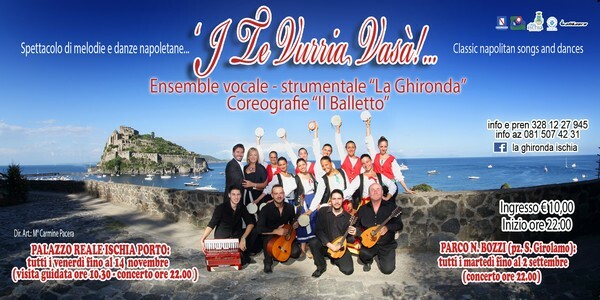 I Te Vurria Vasà is a folkloric evening that takes place every Friday from March to November at the Palazzo Reale in Ischia Porto. The music and dancing is performed by the local group "La Ghironda".